Working with a beauty brand is not a task I take lightly. Actually, I think this is the first sponsored collaboration I’ve ever personally embarked on with a skincare brand, so it’s a big deal for me. Augustinus Bader only launched in February, but I’ve been using it since last year when I met Professor Bader on a trip to Paris. I can be such a sceptic, I usually skip beauty events, but a one-on-one meeting with stem cell scientist was enough to pique my interest. I’ve actually suffered from years of breakouts which I was in the process of overcoming when I first started using The Cream. The timing couldn’t have been better as the healing and renewing properties work with your skin to help it regenerate. The texture of my skin has been steadily improving, especially around my chin and jaw line where I suffered from breakouts the most. I’ll be completely honest, I’m still shocked the team asked me to create a shoot to share. I didn’t start using this cream knowing it would result in a collaboration (I literally would have laughed if they had suggested it a year ago). 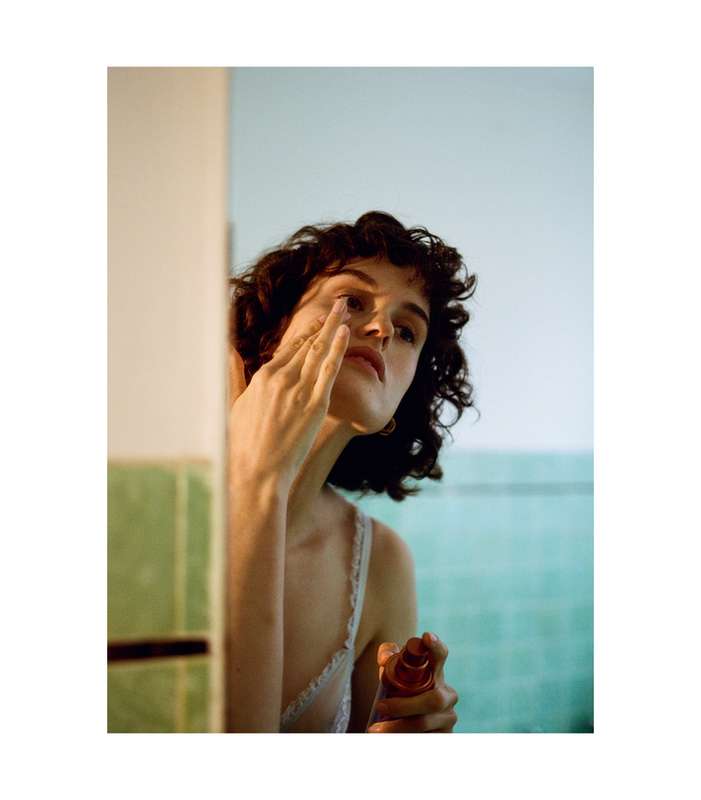 My sweet friends* documented my morning and night time routine—above and below. I can’t avoid sounding cheesy… But it’s genuinely hard to express how comfortable I now feel in my skin. Leaving the house with no makeup is a very good feeling. This shoot is a paid collaboration with Augustinus Bader. *Thank you to Ellen, Sam and Ryan for creating this shoot with me.